Bioshock 2Feb 9, 2010 (US)BioShock 2 is currently in development at 2K Marin, 2K Australia and Digital Extremes for the Xbox 360® video game and entertainment system from Microsoft, PLAYSTATION®3 computer entertainment system, and Windows-based PC. 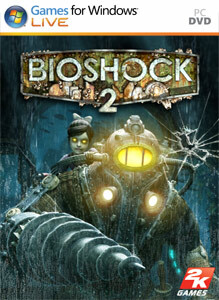 This title is not yet rated..
Bioshock 2 (PC)Feb 9, 2010 (US)BioShock 2 Games for Windows version. In BioShock 2, you step into the boots of the most iconic denizen of Rapture, the Big Daddy, as you explore through the decrepit and beautiful fallen city, chasing an unseen foe in search of answers and yo.. The Bureau: XCOM DeclassifiedAug 20, 2013 (US)Set in 1962 at the height of the Cold War, The Bureau tells the origin story of the clandestine XCOM organisation’s first encounter with a mysterious and devastating enemy. 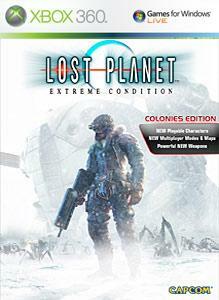 Originally established as America’s covert defense against the Soviet Union, ..
Lost Planet™: Extreme Condition Colonies Edition provides explosive action for both offline and online players, and allows cross-platform play between Xbox 360® and PC. Gamers who missed the original ..